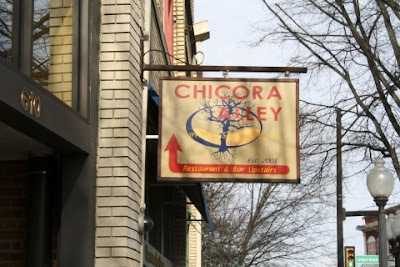 I am super behind posting about the Carolina Blogger Meetup! This was back at the beginning of August before the craziness of school started! A lot of the ladies got together Friday night, but I was only able to make it for lunch on Saturday. Next time I am definitely going to do the overnight trip! The pictures looked like SO much fun! My GPS *totally* took me to the WRONG place (over and over again) and I was totally lost for the longest time! I was so frustrated with my GPS and with traffic, but I finally made it to Chicora Alley for lunch! Lunch was great and I enjoyed meeting familiar faces! 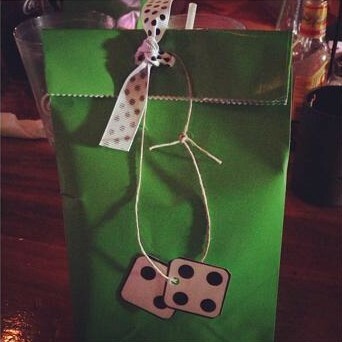 Amanda had the cutest name-tags and gift bags for everyone! Thank you so much for setting it up, Amanda! Here are the ladies who came! 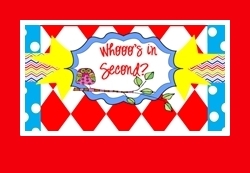 Brooke from Whooo's in Second? Today I am linking up with Mrs. Laffin's for her new linky, A Peek at my Week! Monday night we have Open House at my son's daycare! 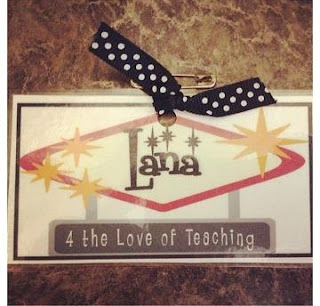 At Open House, we find out who his new teachers are and visit the classroom. I'm looking forward to it! 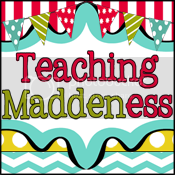 Here are some things we'll be doing in my 5th grade classroom! We will be writing our first narrative about someone special in our life. We'll be referring to our heart maps to get ideas of who to write about. We will read Pink and Say to review the Civil War before moving to our first unit on Reconstruction. We will begin a unit on forces and motion in Science! We will begin our first unit in Math where students will learn about the order of operations and expressions. And that is a good look at my upcoming week! Today my goal is to finish laundry and get things ready at my house to make this week run even smoother! Whew! Sleeping in this morning (until 7:30 at least) never felt so good! This first week back to school has been one for the books. 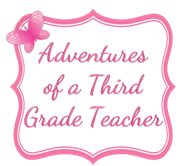 I don't know if it's because it was the first week of school or because I am in a new grade level or a combination of both, but I felt overwhelmed at times and seemed to stay late or bring work home every day. That's not my normal. When I am home, I try not to do school stuff because I only get a few hours with my son before it's time for bed/bath. I sure hope I can get in a better routine next week. However, we had a GREAT first week of school!! I just need to work on time management better next week. 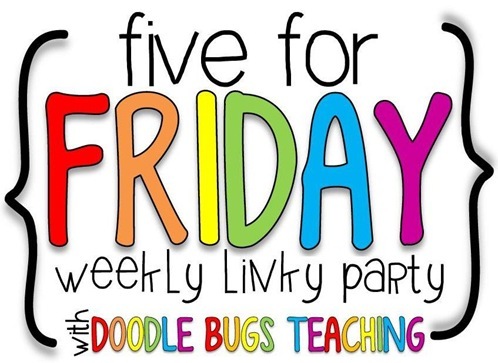 Here's our week in a recap for Five for Friday! 1. Math - Y'all know I am all about being real. 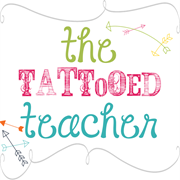 This summer I posted about how I was going to do Math About Me boards. Y'all, they were a flop! Ha! I'm not posting them, mainly because they have student's personal information on them. Some were really good. Some were wild. For example: I have 5,000 x 10,000 shirts. Really? 50,000,000 shirts? Crazy! LOL! 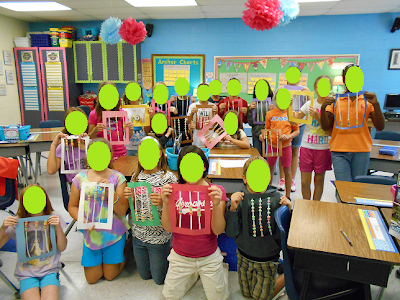 We did have one really fun Math activity, though! 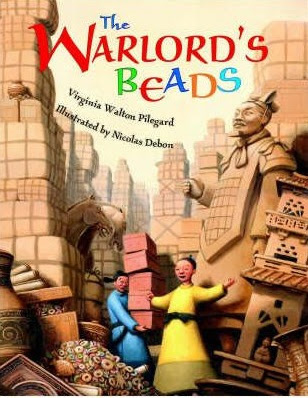 We read "The Warlord's Beads". In the story, Chuan and his father create a counting frame (precursor to the abacus) to help his father keep count of the things he has to count for the warlord. We made our own counting frames to review place value and help us solve several problems! And we got to have a little snack while making them! I totally choked on my fruit loop and had fruit loops flying out of my mouth as I was choking and coughing....true story. 2. 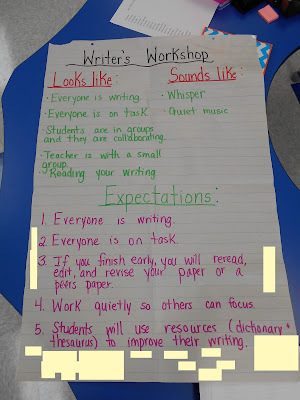 Writing - We lead up to Writer's Workshop by students helping me create a Writer's Workshop looks like/sounds like chart, along with expectations that we all agreed to. We also made heart maps, which was our first writing activity. 3. 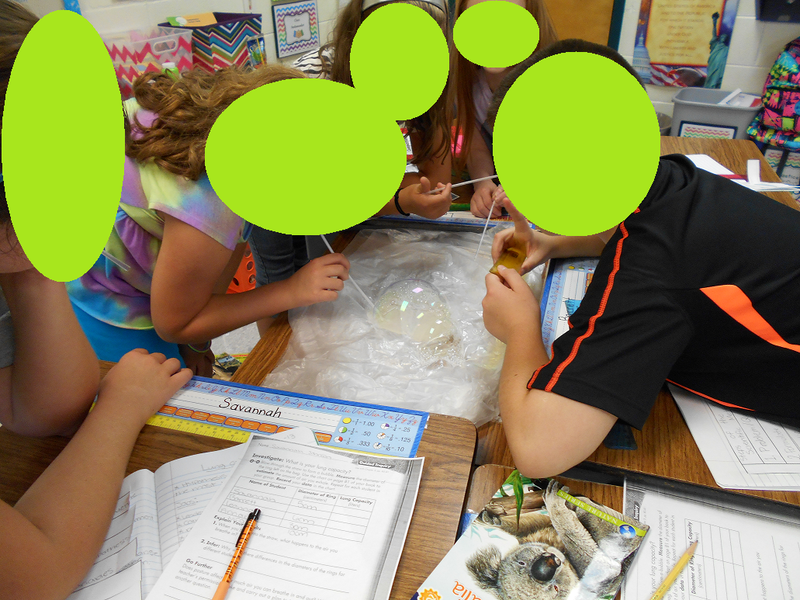 Science - We began by learning about the Scientific Method and then participated in an activity called "What Is Your Lung Capacity?" Students really enjoyed this experiment. I hated covering faces in this photo because of the smiles I had to cover up! 4. Social Studies - We set up our SS notebooks with our first page being a short writing prompt: Why is Social Studies important? 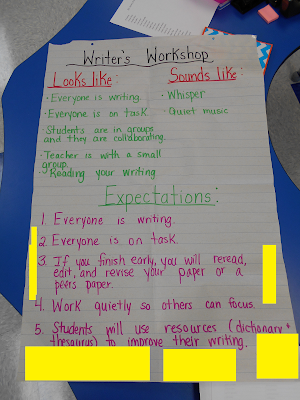 We shared and discussed what we thought after students finished writing. Our first unit is Reconstruction, but I always like to start the year off with a little geography review. We reviewed cardinal and intermediate directions, as well as oceans and continents. 5. I was super excited to get a package in the mail this week from Scholastic! These books will be for a novel study we are doing later this year! Each book was only $1.00, but I used my points so I only paid $3.50 total and that was for shipping! Y'all this first week back at school has been exhausting. Good, but exhausting! I will do a full re-cap later this weekend, but here are a few things we've done. We've created anchor charts for our goals and expectations. The first two lead to great class discussions. 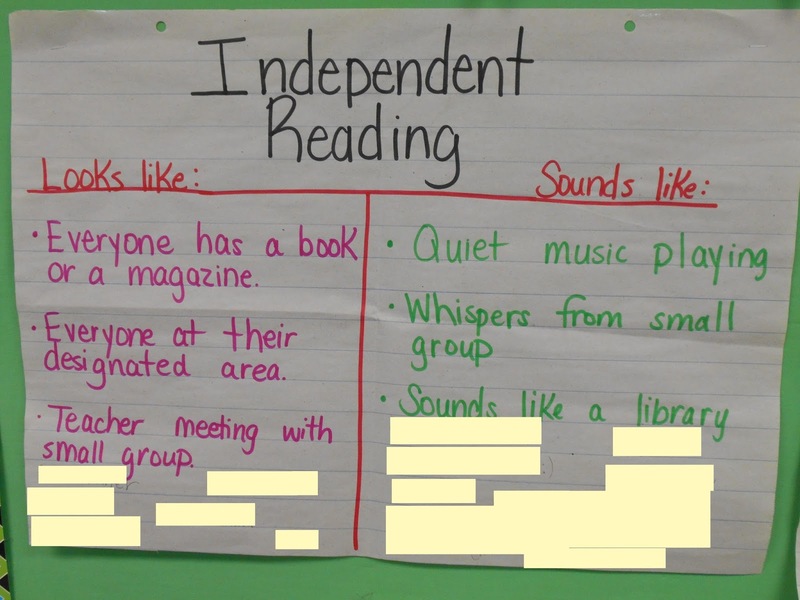 We've created charts that detail what Independent Reading looks like/sounds like. All students signed it and we discussed how it's like a contract. We also came up with small group rules for Math. We determined what Writer's Workshop looks like/sounds like and outlined our expectations. 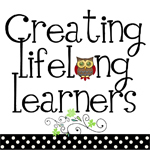 Today I want to share some resources I have found that I will be using in my 5th grade classroom! These products are made by Flash Kids, which are available at Barnes & Noble. If you're teaching Common Core, there's no doubt you've heard the importance of problem solving. This workbook has Math problem solving questions. Being that it is for 5th grade, the problems are challenging and quite complex, which is great for deep thinking! I can see that my students are really going to have to persevere to solve some of these problems. I also think I'll use these problems when we practice for our Math Bowl! This Language Arts book has practice sheets on grammar, punctuation, vocabulary, writing, and research. 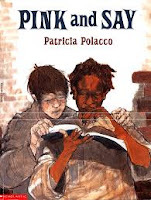 Now, I KNOW that grammar is best taught through writing and using mentor texts, I do. And I use this method very often! But, I am not opposed to students also practicing these skills on handouts. 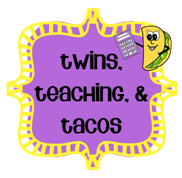 I'm a believer that if I am going to test it, I am going to make sure my students are able to practice it in multiple formats. My school has NO grammar resources so I am always on the lookout for resources related to grammar. I *really* like the way this book it set up and plan to incorporate it into my Writer's Workshop block. If you are an upper elementary teacher, you know the crunch time feeling you get when you know statewide testing is coming and you want to make sure your students are prepared! The tests are so standardized and you've got to make sure your students are prepared and have the stamina to read a selection and answer questions about it, while referring to the text! 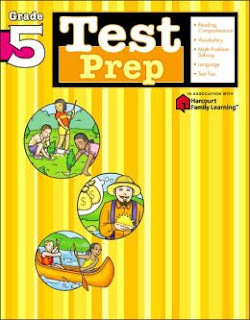 This test prep book will come in handy when it's time to practice for the tests. The last one is the Writing Skills book. 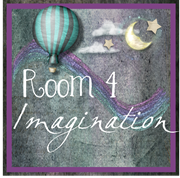 It is set up to provide examples/prompts for narrative writing, how-to writing, story, comparative writing, descriptive writing, and writing a short report. I will be honest and say that there are some elements in this book that I don't think I'll use as much. But, there are parts that I WILL use like a revision chart that students can use as they revise their first draft. I also really like some of the examples they provide and how they set up the brainstorming process in an organized manner. One that I really liked was a narrative piece about someone's best friend and I like how they organize it for students to begin brainstorming. You can visit Flash Kids website HERE. 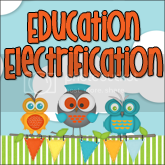 On THIS page, you'll find free downloads organized by grade levels. Disclosure: I was provided with free products from Flash Kids for review purposes. All opinions are my own and are never influenced by outside means. Teacher Week '13: Now Teach!